This listing is for a 6" x 6" fall wedding cake topper / tree cake topper in genuine swarovski crystal elements. Colors are Fireopal, Siam, Olivine, and Topaz. 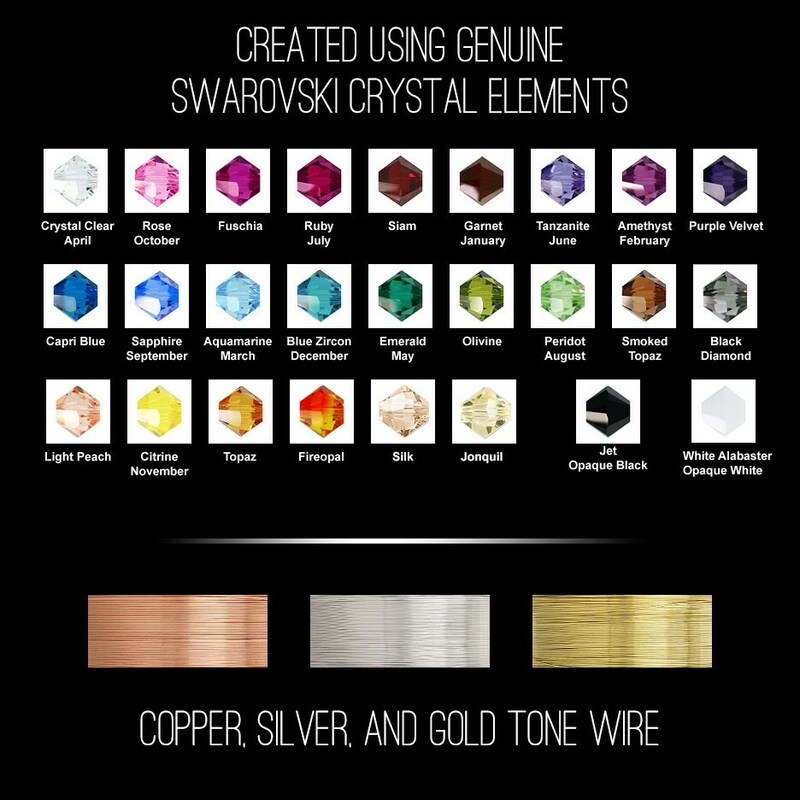 To order just choose your wire color from the drop down box and add to cart. Made out of non-tarnish gold, copper, or silver tone wire, fall swarovski crystal elements, and a brazilian agate base. Tree is mounted for shipment to the bottom of a clear box. This tree measures 6" x 6" with 50 branches / leaves. Weight is about 4oz. 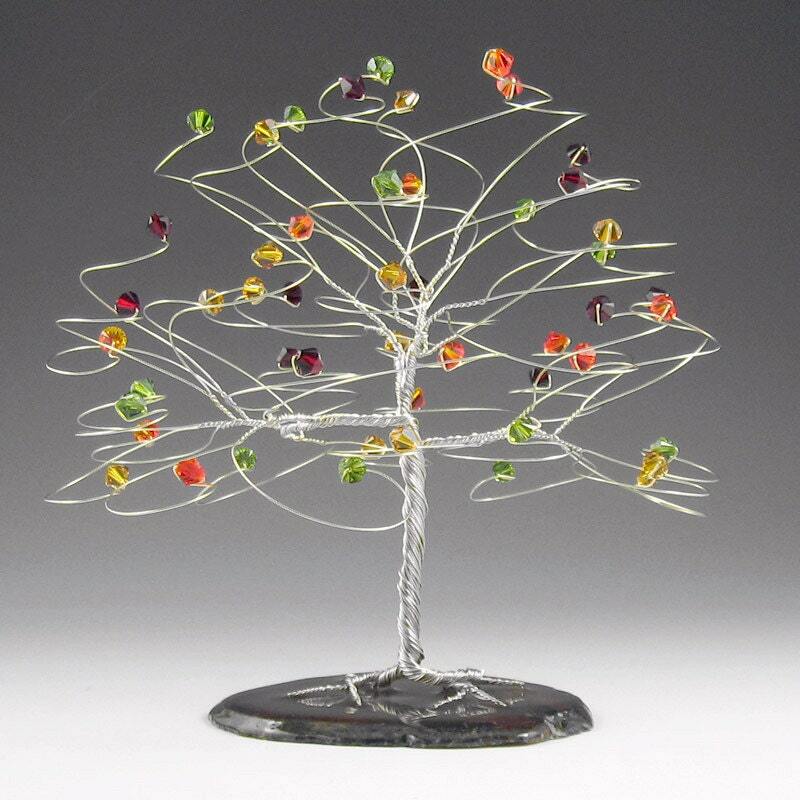 I make every tree to order so the tree you receive will not be the tree pictured. I always choose the agate slab that best compliments the wire and leaves of a tree. OMG i absolutely LOVE my tree. pictures do not do it justice at all. I am so excited to use it on my wedding cake!! My whole family and bridal party fell in love the moment they saw it and shipping was super fast!!! Thank you!! Just received the topper. Super fast shipping and awesome safe packaging! I can't wait to see this on top of my wedding cake this coming fall ! Thank you so much! It's pretty and will look great with my cake.